The Most Technically Advanced Workboot in Europe? 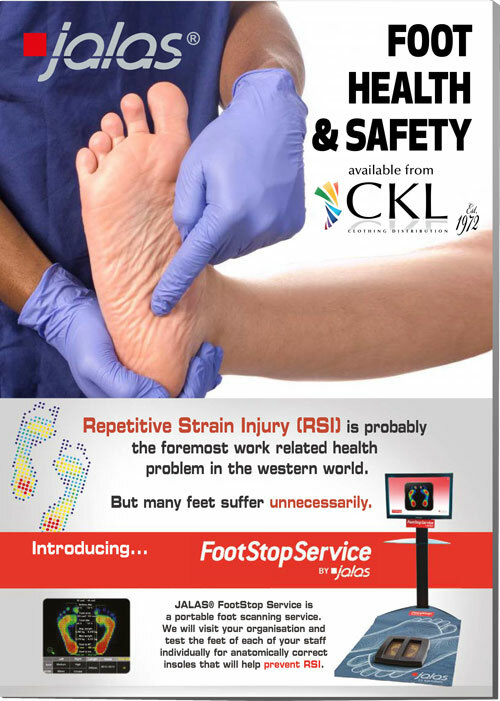 Call us for a free demonstration or site trial of this revolutionary foot safety product that works. Contact us for more information, or to book a FREE demo or site trial at your premises. “We sell 100s of different workboots but I can’t sell any of them with a clear conscience any longer because the JALAS E-Sport 1625 is simply the best by a large margin and could mean the difference between foot pain and foot comfort to my clients. 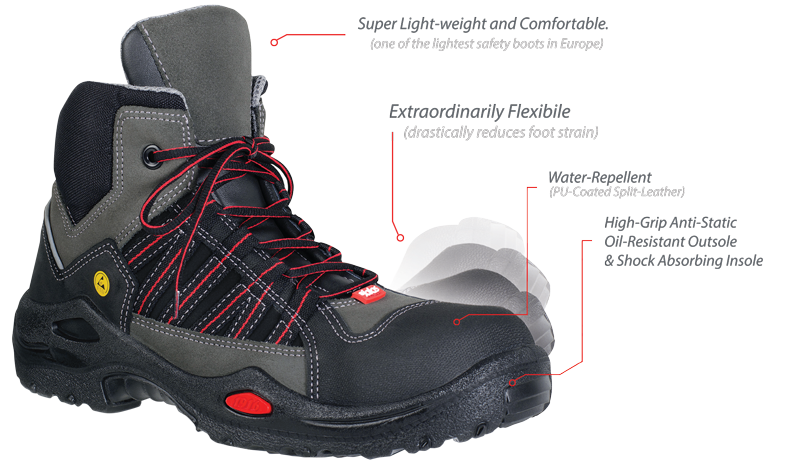 Quite possibly the lightest, most flexible, comfortable, and safest general purpose work boot in Europe. Why Aluminium Toecaps are better than Steel or Composite. *1 Our aluminium toecaps are as strong as steel but much lighter, and are also inherently safer than composite, as composite toe caps do not show any visible signs of damage if they have internal cracks or fractures after an impact, meaning users will continue to wear the boots unaware that the toecaps may be severely compromised and weakened. A subsequent impact could then potentially shatter the toecaps, leading to the foot being crushed. In contrast, metal toecaps will deform on the first impact, visibly alerting the user to replace the boots and potentially saving a future serious injury to the foot. 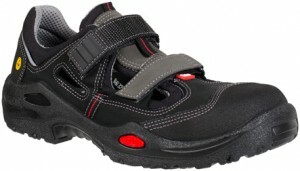 JALAS do offer composite toecaps in some other boots in their range as some lighter duty applications demand them (e.g. non-metal products for airport security etc), however, in those environments, heavy knocks onto the toe are far less likely than in other heavy use environments (such as construction or engineering). Toecaps digging into the foot ? *2 A common complaint of work boots is that the inside edges of the toe cap over time start digging through the inner layers of the boot, and rub against the wearer’s feet, which can cause significant pain or discomfort. JALAS use extra thick layers of silicon to cover the edge to precisely to prevent this. Even after a year of continuous wear, users routinely report that the boots are as comfortable as new. 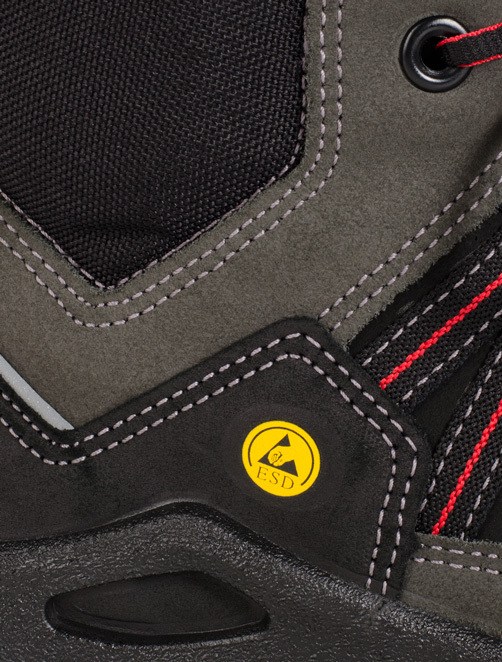 *3 Our midsoles have 2 layers of aluminium bonded to 2 layers of Kevlar that flexes. So if a nail penetrates the outsole, the midsole will first rise and push against the sole of the foot, thereby notifying the user that a nail has penetrated, potentially providing the user some time to adjust the foot, before the other layers of protection are overcome. Even if the user does not make any adjustment, the 4-layer protection bursts sequentially, creating a click-clack underfoot again notifying the user that the pierce risk is approaching. 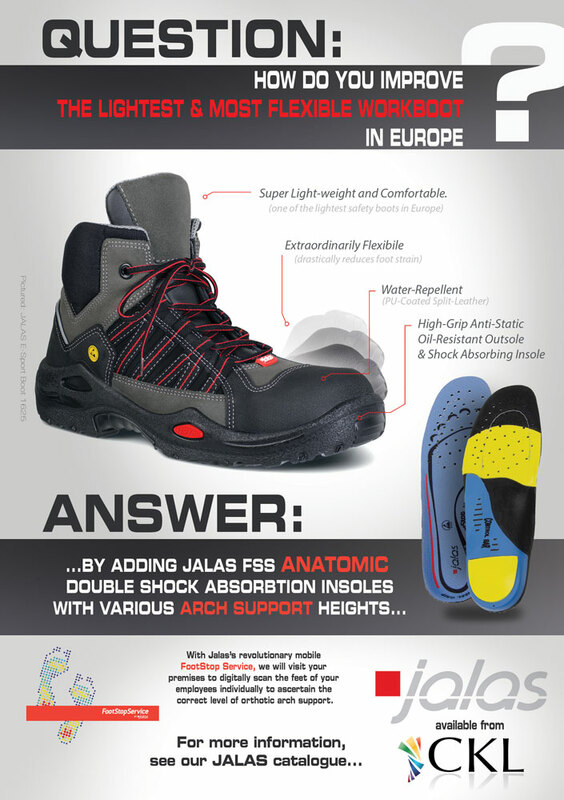 Please take the time to go through and read our brochures and leaflets relating to Jalas and the 1625 'E-Sport' boot. A short PDF catalogue, focusing on just the main best-selling products from JALAS range. With handy comparison tools, and more in-depth information for each product. 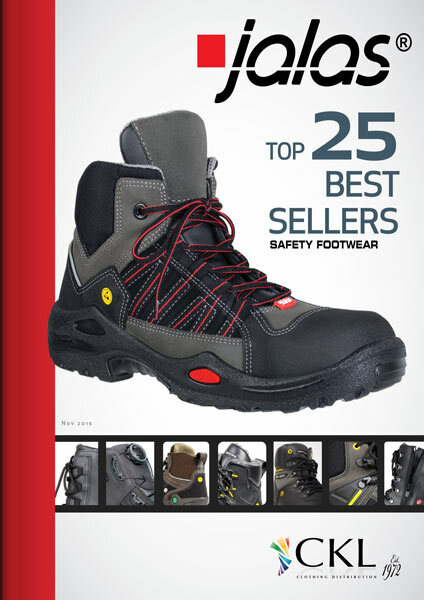 A PDF catalogue focusing on the health & safety benefits of the Jalas range and explains the FootStop Service. Our latest brands offer some of the highest quality, and most innovative safety gloves and boots in Europe. You will be impressed. A very brief leaflet summarising the benefits of the 1625 ‘E-Sport’ boot and gives some information regarding the FSS FootStop Service. 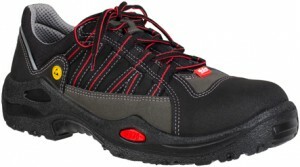 Most workboots provide adequate protection, so the distinguishing factor is comfort and wellbeing. It’s relatively easy to make tough boots that act like cages for the feet, but the challenge is to make these safety boots comfortable. Introducing JALAS – the Scandinavian specialists in anatomical know-how, ergonomics and supreme comfort – bringing wellbeing to safety footwear. The JALAS brand is owned by Ejendals – a 100 year old company from Finland, with €100M turnover, and who are the absolute market leaders in safety footwear in Northern Europe. 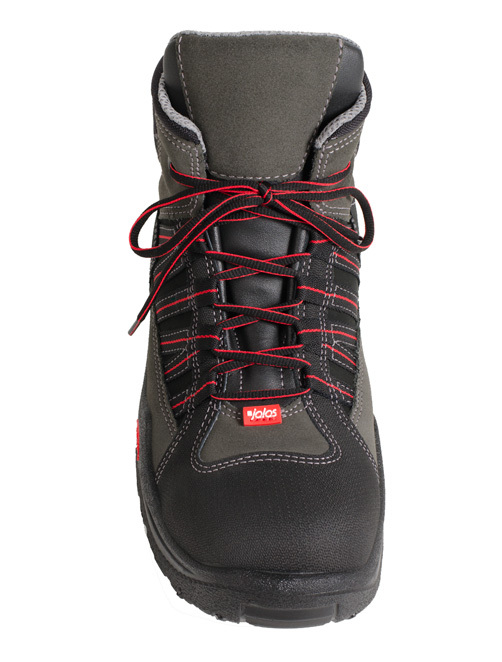 JALAS boots are available from CKL Workwear Distribution. Find out more about Jalas E-Sport and how the 1625 boot can boost comfort levels, productivity and morale whilst preventing foot RSI injuries. Please enter a brief note here so that we can deal with your enquiry in the most efficient manner. Thank you. We’ll be back in touch in no time to go over how we can help.